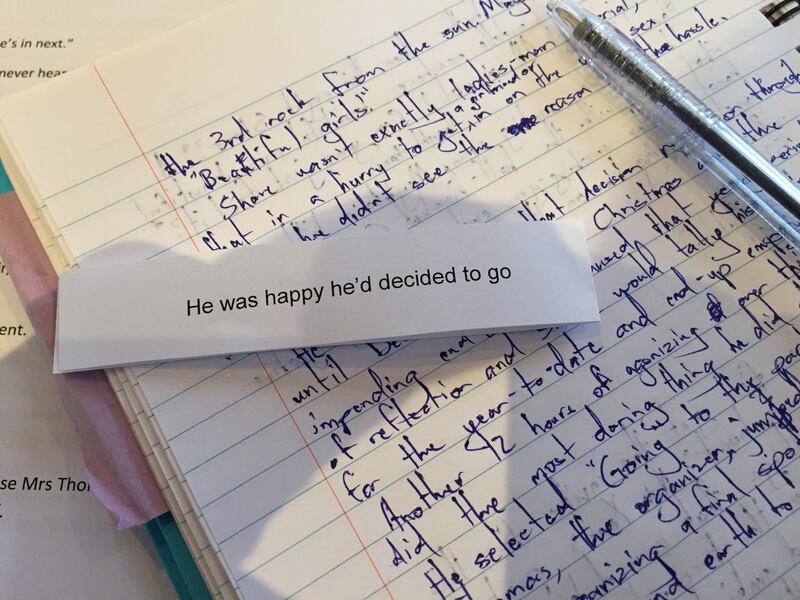 Another month, another writing group exercise :) This time we were given small slips of paper, like the one pictured above, and with it we were supposed to write a story that conveyed the emotion written on the paper, without using the word in our own piece. It was then up to the rest of the group to figure out what the emotion was. When Shane first got the invite for this whole, “I’m on a boat!” New Year’s party, it was those exact things that caused him to hesitate; to press “Maybe” on the Facebook invite in hopes that his greyed-out and ambivalent avatar would cause him to be forgotten alongside all the other maybes of the event. “A boat in the middle of nowhere.” No chance for rescue, no chance for deciding to go home early if he turned up. “Beautiful sun!” His pasty white complexion was not made for the 3rd rock from the sun. Maybe the 4th? “Beautiful girls!” Shane wasn’t exactly in a hurry to get on the whole get-a-girlfriend bandwagon - the way his friends went on about their relationships, he didn’t see the reason for the hassle. He would stick by that decision right on through until December 27, when Christmas and the impending end-of-year caused that yearly period of reflection and Shane would tally his achievements for the year-to-date and end-up empty. After another 12 hours of agonizing over things, he did the most daring thing he did all year: he selected “Going” to the party. Thomas, the organizer, jumped on it almost immediately, sorting out a final spot for his friend and late arrival, moving heaven and earth to get Shane on that damn boat. So here he was. There were maybe more people in a small space than he’d liked, and the music was bloody loud, but of all the choices he had made in recent history, this was his proudest. And with that, Shane clinked his own half-finished bottle of Corona with Thomas’. Next: Holy moly an update!